This week, AAPI Data joined the National Council of Asian Pacific Americans, as part of 77 organizations, 180 community leaders, 105 students, and nearly 500 educators across the country, in reaffirming our commitment to serving the diverse needs of our Asian American and Pacific Islander communities. We are deeply alarmed by recent opposition to the collection of detailed data on Asian Americans, with opponents comparing it to data collected by Nazi Germany to persecute Jews and single them out for genocide. 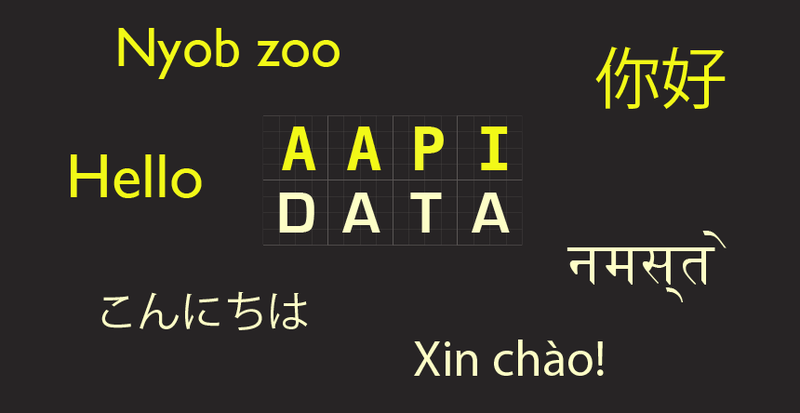 For over three decades, East Asian, South Asian, Southeast Asian American, Native Hawaiian & Pacific Islander organizations and leaders have called for detailed data collection to better serve AAPI populations in need. We have found, time and again that detailed and accurate data collections–from the U.S. Census Bureau and other federal agencies, to state and local agencies in health, education, and other issues–are essential to helping our communities in need. As researchers, educators, advocacy organizations, and community leaders, we strive to better understand the challenges faced by our student populations, and to better serve and support their varied educational needs. We cannot do this without high-quality data. For example, Cambodian, Laotian, Native Hawaiian, and Samoan Americans have among the lowest rates of graduation from community college. Mental health issues also vary across the Asian American population, with some groups such as Chinese American women showing higher rates of suicide than other Asian American groups. High-quality, detailed data is essential to understanding student challenges in all communities, and is vital to securing public and private resources to help students in need. To compare the current effort to collect data on Asian Americans to the tactics of Nazi Germany is deceitful and misrepresentative of the goals and desires of the Asian American and Pacific Islander community. Historically, Asian Americans, including Chinese Americans, have been at the forefront of calls for detailed data collection. The purpose of these data is not to single-out a group for persecution or surveillance, but to better recognize and support all segments of our community, and to ensure that all students count in education. Importantly, and contrary to the claims of many protesters, data disaggregation in education is unrelated to race-based considerations in Ivy League admissions. Asian ethnicity data collected by K-12 schools are reported at the institutional level, and not the individual level. And they are designed to support parental engagement in ethnically diverse schools, and to provide better student support services on matters ranging from mental health and suicide prevention to successful college completion. As community organizations, educators, and leaders, we believe it is imperative to continue the push for high-quality, detailed data that can serve the diverse needs of our Asian American and Pacific Islander students.